The lunar calendar is a calendar based on complete cycles of phases of the Moon. The Chinese New Year marks the start of a new lunar year and is celebrated for 15 days. Things kicked off with the new moon on February 5th and will wrap up when the full moon arrives. 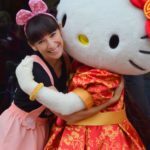 This is one of many celebrations in Asia to mark the Lunar New Year, and in Southern California Universal Studios Hollywood is one of the many places where you can join the festivities. 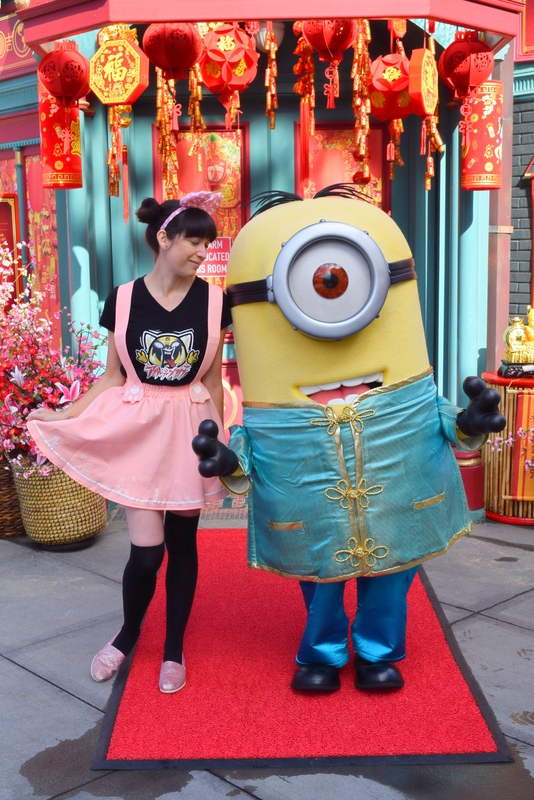 To welcome the Year of the Pig, a year for diligence, compassion and generosity, Universal Plaza (located inside Universal Studios Hollywood) has been redecorated to include lanterns, cherry blossoms, new activities, character meet and greets, special performances and more. 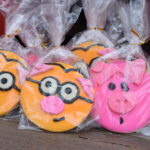 Even Universal CityWalk is getting on the fun with companies like Voodoo Doughnut participating with a specially-created “Year of the Pig” doughnut. 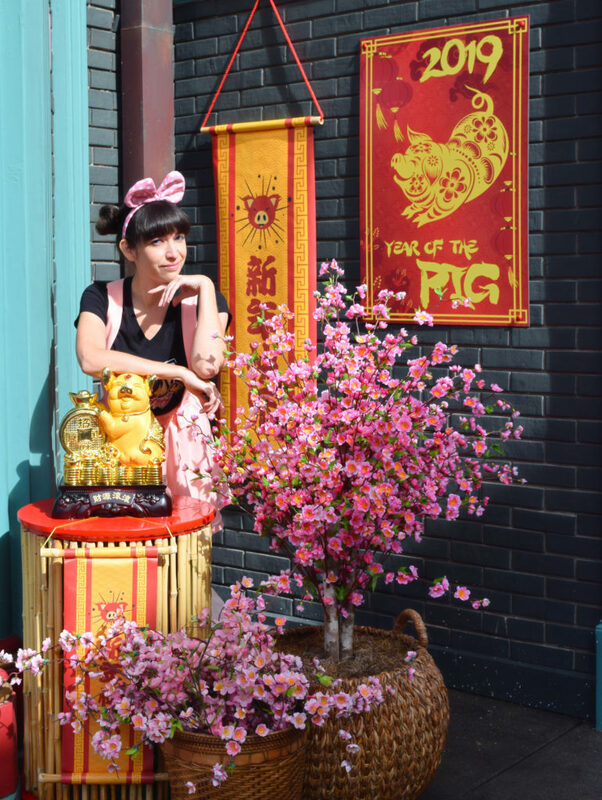 Having a dedicated and fully immersive space inside the park for the celebration is what makes Universal’s Lunar New Year celebration the best in town. Let’s dive further into why. The addition of this new quick service counter really sets the mood. 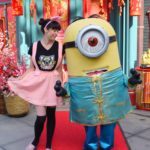 Besides being able to order three kinds of stir fry noodles, plus dumplings, egg rolls and more; you can also visit with Mr. Ping (from Kung Fu Panda) himself. Mr. Ping may look like an animatronic but the interaction dives much deeper. You can actually have a full conversation in real-time about any subject you’d like. The answers aren’t scripted, this isn’t a magic ball with a set amount of answer choices, Mr. Ping is straight off the cuff. 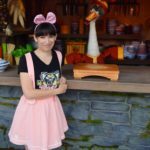 This may be the best character meet and greet I’ve ever experienced! 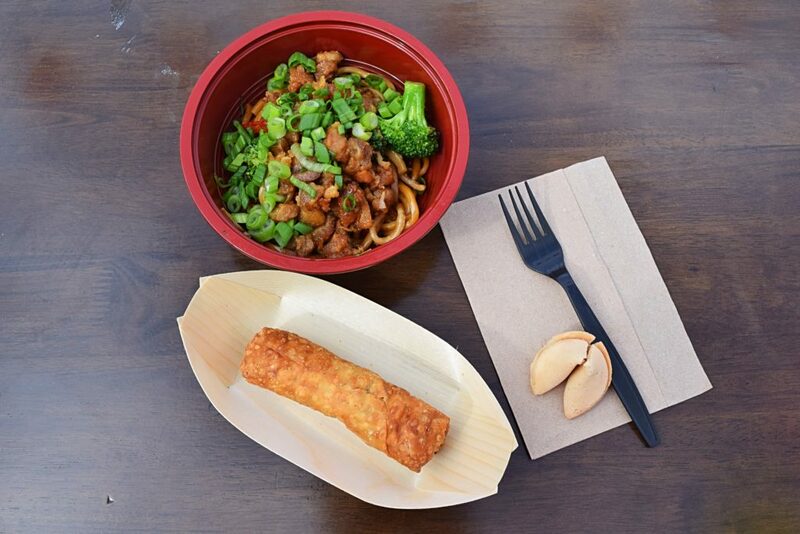 The food itself is delicious, with the stir fry noodles being a must have. However, if you’re an allergy sufferer, you’re once again out of luck as there’s no gluten or soy free options here. 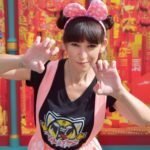 This has always been the one major downfall with Universal Studios is their lack of options for people who suffer from the Top 8 allergies or who follow trending lifestyle choices like Paleo or Keto. Hopefully we can see a shift in this in the near future! 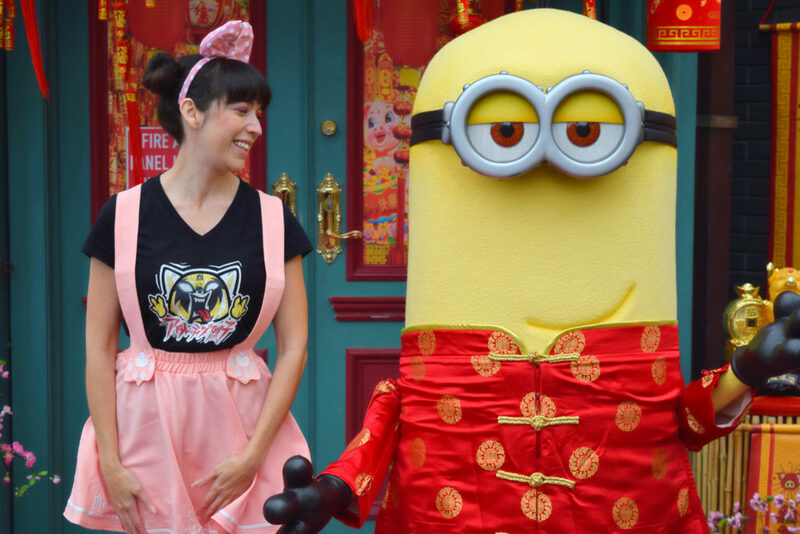 Besides Mr. Ping, you’ll also have the opportunity to greet the minions and Hello Kitty in their new Lunar New Year attire. Plus a mandarin speaking Megatron will greet you at the entrance to the plaza. 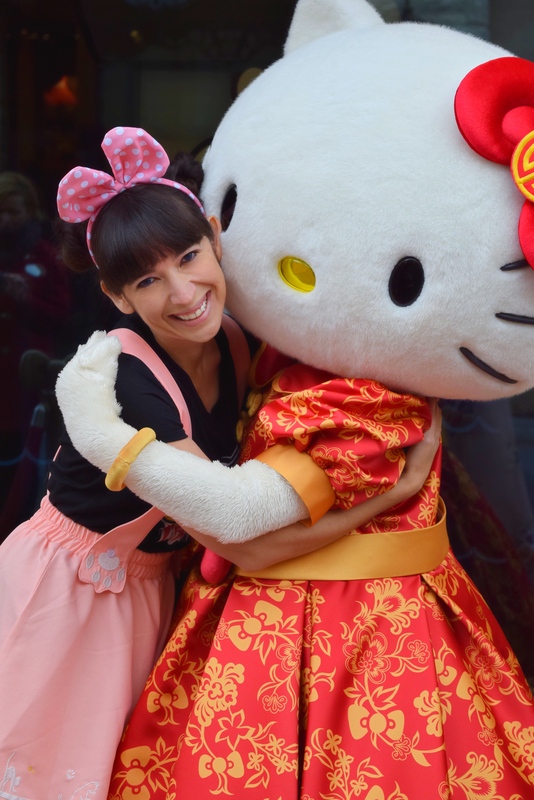 And after each story time performance you can grab a photo with Po or Tigress! In the middle of the plaza you’ll find cherry blossoms covered in wishes. By each tree there’s a station for you to write your own wish to then place on the tree of your choice. Such a great way to feel included in the new year celebration. And across from Mr. Ping’s Noodle Shop and the stage is Feng The Palace Artist’s Stand where you can learn to draw your favorite Kung Fu Panda characters. 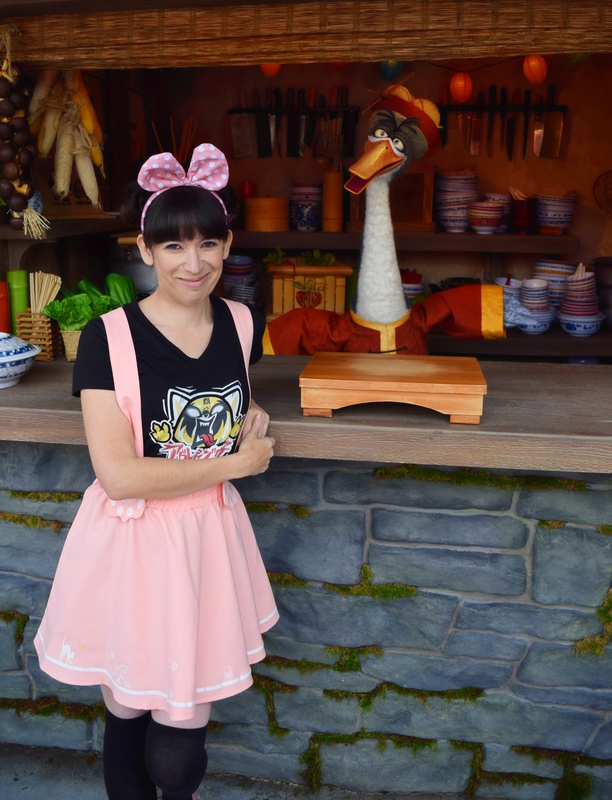 Outside of the plaza guests can feast on an array of Asian fare at various locations throughout the park such as Banh Mi Sandwiches, Baos and dumplings at the Plaza Grill and Asian Entrée Bowls at Hollywood and Dine and Gru’s Lab. Specialty Lunar New Year desserts including a “Year of the Pig” cookie, a Chocolate Matcha Cupcake and a Ginger Cheesecake with fortune cookie can be also found at various carts and restaurants. 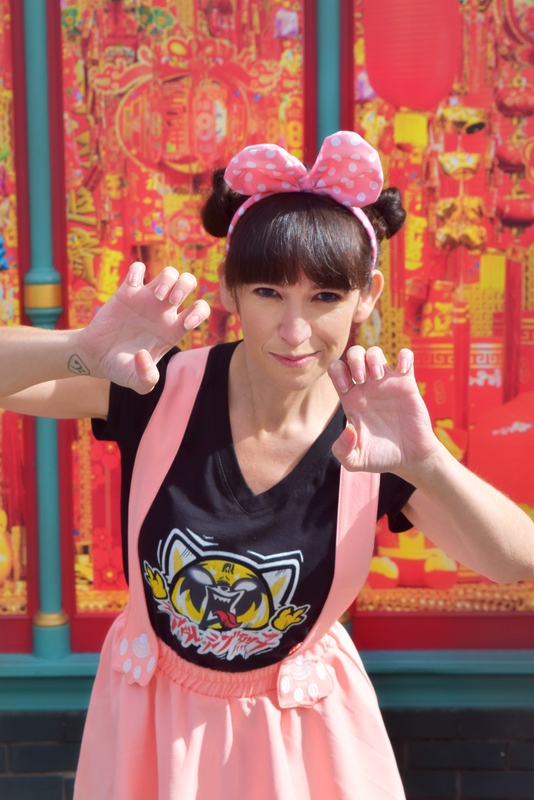 Universal Studios’ Lunar New Year is a limited time celebration happening now through February 18th, 2019. Make sure to visit the park before it’s too late. Food advice with Mr. Ping! 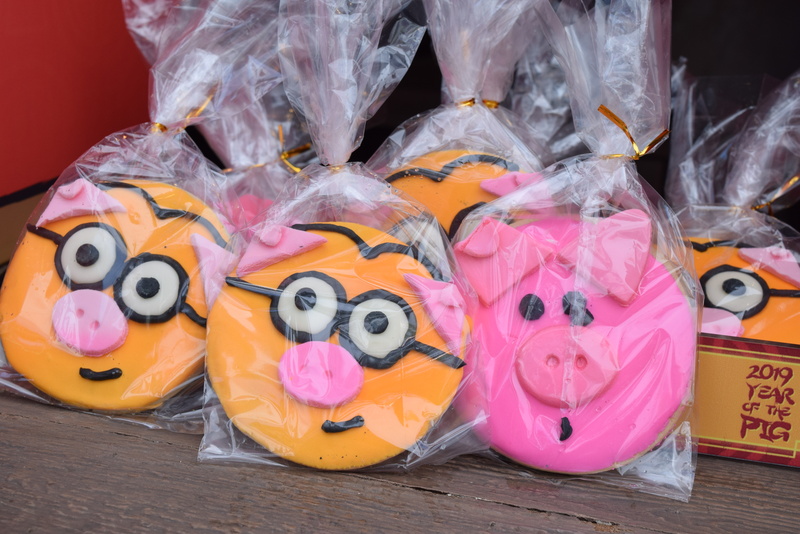 Year of the Pig cookies. So many great photo spots.